Portland, Ore. • In the aftermath of his 5-for-26 shooting night in Wednesday’s win against the Golden State Warriors, Donovan Mitchell said he planned to head right over the Zions Bank Basketball Campus practice facility and hoist some shots up. 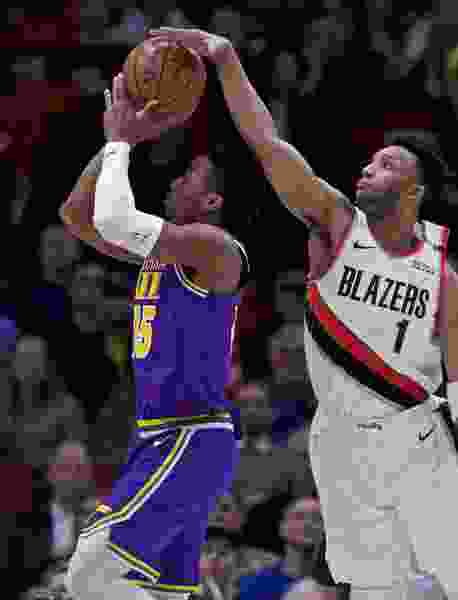 Before Friday’s game at the Moda Center against the Blazers, he acknowledged he didn’t wind up doing that, but said it didn’t matter because he remains confident in what he can do. Coach Quin Snyder certainly doesn’t want a night like that to make his guard at all reluctant to keep getting shots up in actual games. That said, he doesn’t intend to lighten Mitchell’s load. For his part, Mitchell said the shooting numbers don’t bother him — he scored three points on 1-of-10 shooting in Friday’s 120-90 win — so long as he’s finding ways to contribute. When the Jazz played the Heat on Dec. 12, Miami coach Erik Spoelstra said he thought Utah’s record was effectively meaningless because the team had played so many more games on the road than at home. On Friday night, Blazers coach Terry Stotts effectively espoused the same sentiment. While he didn’t want to speak for Snyder, he said that in his own estimation, navigating a schedule that unbalanced can be challenging.